Throughout the ages, lovers have looked for ways in which they can prove to the world that their love is the real thing - a commitment that will last for eternity. 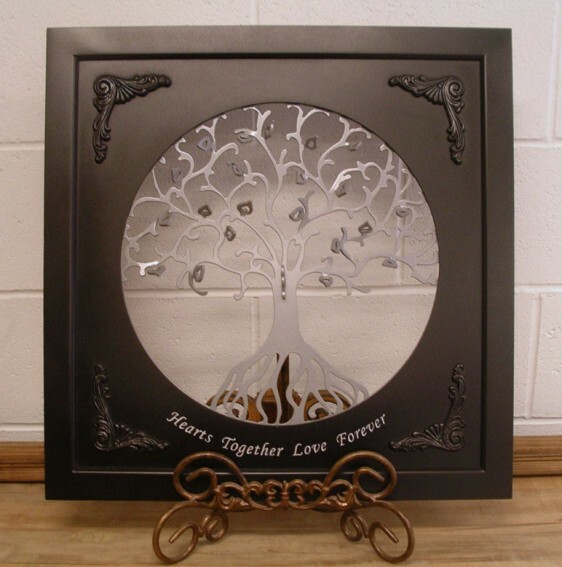 From poetry to a romantic serenade, from inscribing hearts on the school desk to carving initials on a tree. More recently, the world has seen the rise of a new and profound method of professing love and commitment. Lovers engrave their names or message onto a padlock, lock it to a fence or railing and throw away the key. The symbolism of throwing away the key is all important, representing the commitment to love, a memory that can never be unlocked. Now there is a way to add Lovelocks to your wedding ceremony. Known as the "Tree of Life" the couple's parents and the couple engrave a love lock padlock and lock it on the "Tree of Life". This is one of the most unique ways to unite families together.